Brothers Pyrotechnics "Neighbour From Hell"
81 shots in a mixture of effects and shapes including straight up, V and W with some lovely bright colours. The Firework Shop has great deals on a great range of Brothers, Black Cat and Celtic Fireworks! We've the largest selection of quality fireworks in the area at the lowest possible prices. The Firework Shop has great deals on a great range of Brothers and Black Cat Fireworks! Our shop is now closed and only open by appointment please call us on 01296 339100 to arrange for us to open the store. 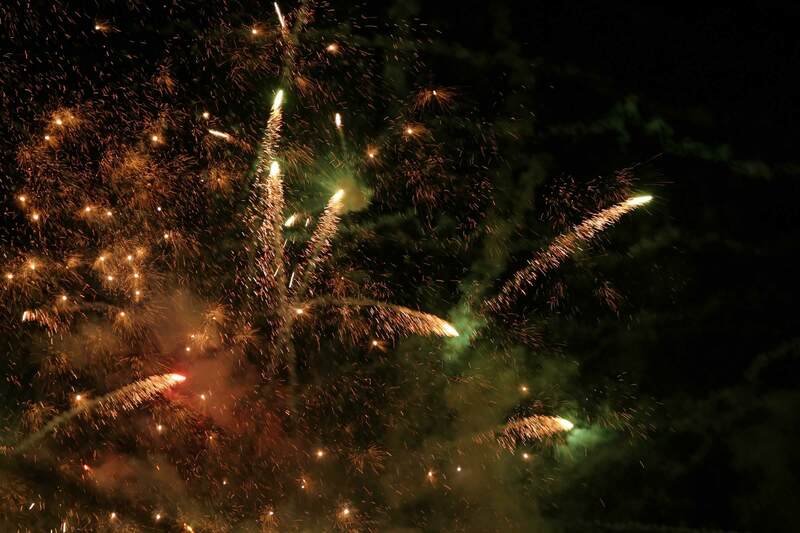 We're fully licensed so can provide fireworks all the year round - not just on Guy Fawkes night. So, bonfire night, New Year's Eve, Diwali, Chinese New Year, and private displays and public weddings and parties are all covered, though make sure you understand the laws regarding when you can set off fireworks. We can supply rockets, roman candles, catherine wheels, fountains, sparklers and selection boxes for your party or display at home, or our own bundle packs if you can't decide! For larger parties and events we've even bigger rockets, mines and multi-shot barrages for the most spectacular pyrotechnic exhibition imaginable!. The Aylesbury Firework Shop is well-placed to serve Buckinghamshire and the sourrounding counties. There's plenty of free parking at the Aylesbury Shopping Park and lots of other interesting stores close by such as Argos, Lidl, B&M, Hobby Craft and Home Sense, as well as restaurants & coffee shops. Aylesbury's Longest Serving Firework Specialist! Always follow the Fireworks Code!